See what other clients have to say about our affordable sound systems in Nashville, TN. We offer a variety of speaker rentals, concert staging and medium size sound system. I just want you to know that I really appreciate all that you do...because you're great to work with and are always very accommodating. Thank you for always being professional and doing such a great job!" "If you need PA and sound engineers contact Chris O'Brien. He's the man in Nashville!!!! I use him for all of my gigs!!!." "Chris does an outstanding job and his gear is always state of the art. Outdoor event and the sound was incredible. Even got compliments from the neighbors...miles away!" "Chris and his team are stellar! The sound on stage couldn't be better and put front was amazing. So good in fact that at a large outdoor venue, the sound was spectacular even on the 100 or more cell phones in the audience that took video. 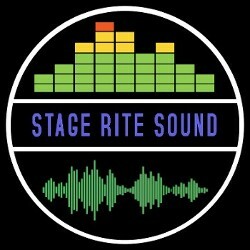 Use Stage Rite period. Well worth every penny!" "Great sound! Professional and easy to work with. Punctual!" "Great company. I've used them for big shows and small shows, and they always nail it." "These guys have everything you need and are incredibly helpful!"